Hacking Arts is MIT’s annual festival celebrating innovation and entrepreneurship in the creative arts. 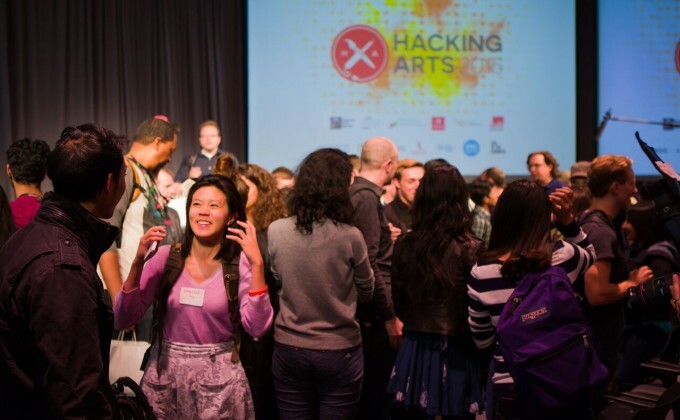 Founded in 2013, Hacking Arts has established itself as the premier community event at MIT for E&I in the arts. Held each year at the Media Lab, the weekend-long affair encompasses a conference, tech expo, hackathon, and VIP event. The focus areas of the festival include design, fashion, film/video, gaming, music, performing arts, virtual reality, and visual arts. Panelists, exhibitors, and sponsors have included Spotify, Artsy, the Brooklyn Ballet, Sonos, Formlabs, Google VR, JUMP, and more. Hacking Arts Hackathon is 24-hour competition designed to push innovation in the arts and entertainment field. It’s all about connecting creative and ambitious minds with the necessary tools to foster collaboration in the arts through technology. The Conference hosts eight world-class panels held in four sessions. Eight entrepreneurs and innovators are selected to pitch their products and projects that are revolutionizing the creative arts industries. The Expo showcases innovative ideas and technologies applied in the various creative industries at Hacking Arts. All are invited to interact with and be inspired by the exhibits on display.